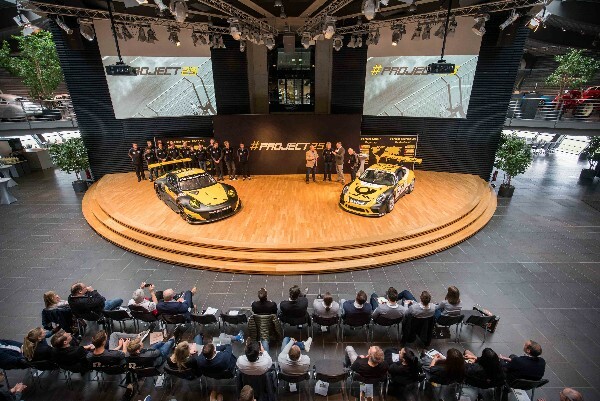 At the team presentation on 28th March in the Porsche factory Leipzig, Project 1 introduced its motorsport programme for the coming season. To coincide with its 25th anniversary, the Porsche team tackles the biggest commitment in its entire history. In addition to driving in the Porsche Carrera Cup Deutschland, the Porsche Mobil 1 Supercup is again on the schedule. Four ambitious young talents in the Lohne team are Gustav Malja, Larry ten Voorde, Jake Eidson and Michael de Quesada. The jubilee year’s highlight is the step into the FIA World Endurance Championship, where Jörg Bergmeister, Patrick Lindsey and Egidio Perfetti will be driving a Porsche 911 RSR. “This season will be a special one for the whole team and our commitments in three parallel championships emphasise the historic programme ahead of us”, said Hans-Bernd Kamps during the formal presentation. “I’m very happy to be able to celebrate this milestone and our jubilee together with our partners and friends and of course with our team. An exciting year is coming up and I can hardly wait to start the WEC and the Porsche one-make trophies”, the team founder continued. Axel Funke and Francis Schammo are taking the lead in the involvement within the WEC programme. Marcel Jürgens-Wichmann will be acting as team manager in the one-make throphies. “Working on such an extensive programme means sharing responsibility. With Axel, Francis and Marcel, we’ve got three experts, who are specialists in their particular fields. Francis has already been working in the WEC and in the Le Mans 24 Hours and can therefore offer optimal support. Together with the experienced crew of mechanics surrounding our leading engineer Richard Selwin, we’ve got a professional team we can rely on”, Kamps explains, with a view to the coming season. The FIA WEC is one of the world’s most popular race series and competitors will be going on a trip round the globe. A total of eight rounds will take place in North America, Asia and Europe, including the 24 Hours of Le Mans. Project 1 starts in close cooperation with Porsche in the GTE-Am class. With the Porsche 911 RSR, Project 1 faces a new high-level challenge. The RSR spearheads the in-house motorsport programme and this latest generation of the sports car icon was put into successful use in the FIA WEC and Le Mans for the first time in 2017. Project 1 is giving the RSR a special “jubilee design”. The Porsche Mobil 1 Supercup and the Porsche Carrera Cup Deutschland have proved to be an effective stepping-stone into the FIA WEC and this is why both one-make trophies play an important role for Project 1. The team from Lohne will be running three cars in the Supercup, which again will be part of the 2018 Formula 1 programme. Gustav Malja from Sweden will be one of the drivers representing the 2015 title holders. The 22-year-old’s successes in the FIA Formula 2 and GP2 were a good recommendation for the cockpit. The season starts on 13th May traditionally in Barcelona, Spain and further prestigious tracks such as Monaco, Spa-Francorchamps or Mexico complement the calendar. The Porsche Carrera Cup Deutschland counts as the fastest brand trophy and has produced a large number of successful drivers. Professionals like the present DTM champion René Rast and BMW works driver Philipp Eng celebrated a national Carrera Cup title win with the Lohne team and so Project 1 has established itself as a talent factory over the years. 2018 sees the championship as part of the ADAC GT Masters for the first time and the season’s opener from 13th – 15th April in the Motorsport Arena Oschersleben is followed by races on circuits such as Zandvoort, the Nürburgring and the Sachsenring. Project 1’s WEC season is focusing on an experienced driver package. Porsche works driver Jörg Bergmeister has been playing an active part in motorsport since 1987 and knows the Porsche 911 RSR like the back of his hand. He clinched numerous US podium finishes in the RSR and the 42-year-old German was also successful in the Porsche Carrera Cup Deutschland and the Porsche Mobil 1 Supercup. Le Mans and the FIA WEC gave him the opportunity to collect valuable endurance experience from which the Project 1 team can ultimately benefit. Second driver in the alliance is Patrick Lindsey from California. Together with Park Place Motorsports, he’s been fighting since 2013 in the IMSA SportsCar Championship and has also proved himself an expert in handling Porsches. In addition to the 911 GT3 Cup and the 911 GT America, he was most recently on the road in a 911 GT3 R and got to know team mate Jörg Bergmeister very well during this period. Egidio Perfetti completes the strong trio. 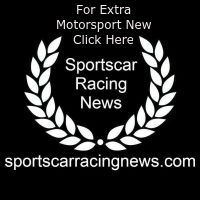 He too is a Porsche specialist and active in European racing since 2010. The Norwegian’s numerous starts in the French Porsche Carrera Cup have given him immense experience, but he was also successful in the Porsche Mobil 1 Supercup and the Michelin GT3 Le Mans Cup. The Lohne team has lined up a young driver quartet for the Porsche one-make trophies. Gustav Malja began his career in karting and after driving in the ADAC Formula Masters in the GP2, the Swede was on the road in the 2017 FIA Formula 2 championship. Now the first Porsche Mobil 1 Supercup and Porsche Carrerra Cup Deutschland seasons await him. Team colleague Larry ten Voorde from the Netherlands was already competing for Project 1 in the 2017 Porsche Carrera Cup Deutschland and was awarded the Rookie classification in his debut season. His goal for the German one-make trophy’s second season is crystal clear – fighting for the championship title. 22-year-old Jake Eidson can also fall back on Porsche experience and has already been driving in the Porsche 911 GT3 Cup since 2016. He took part in the American IMSA series in the Porsche GT3 Cup Challenge and won the title in 2017. Fourth driver in the 2018 Porsche one-make trophies will be Michael de Quesada. The American also started in the 2016 American Porsche GT3 Cup Challenge and won the drivers’ title there. Third place in the 2017 Ultra 94 Porsche GT3 Cup Challenge followed a second in 2015. The 18-year-old collected a lot of long distance know-how in 2017, when he delivered a victorious performance in the 24 Hours of Daytona.